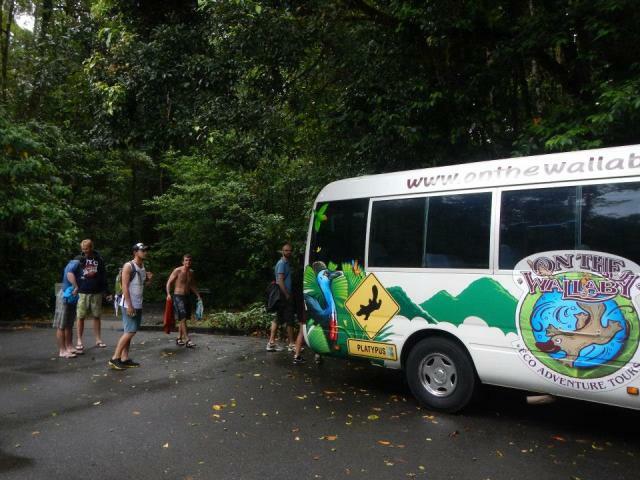 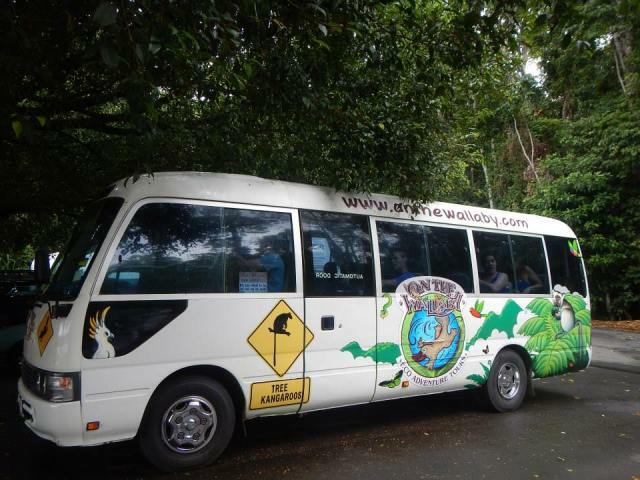 On the Wallaby Overnight Rainforest tours offer two value packed days, exploring the Highland Rainforest, Unique Wildlife and Crater Lakes on the Atherton Tablelands. 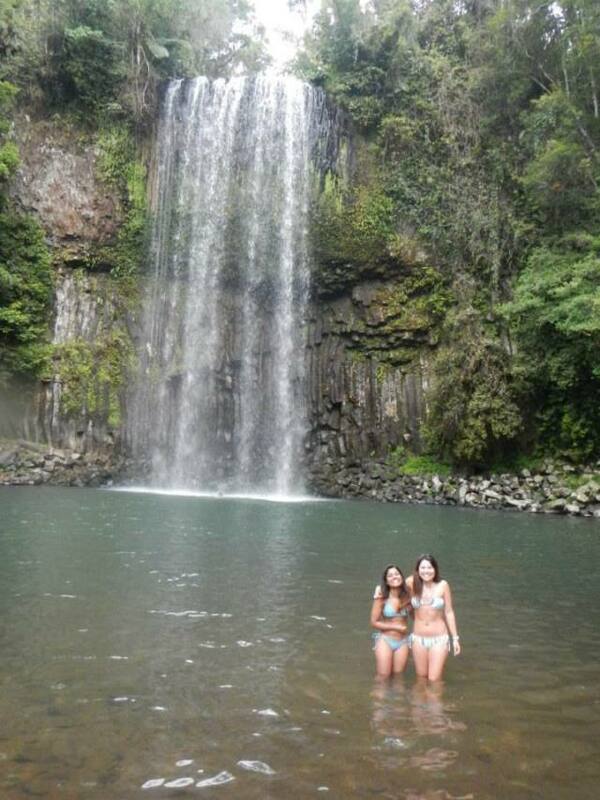 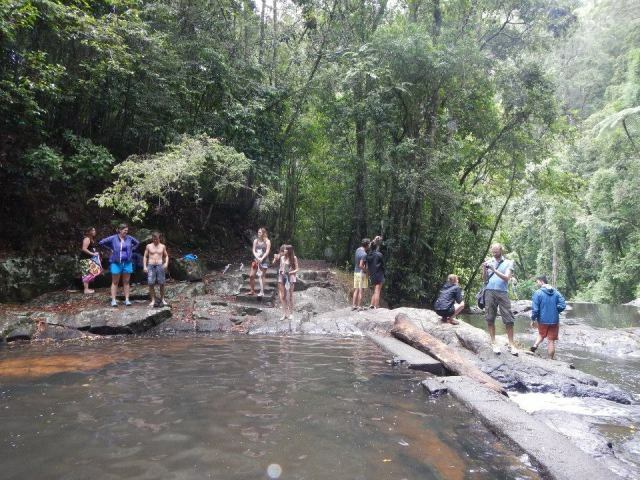 Lots of Swimming & heaps of FUN! 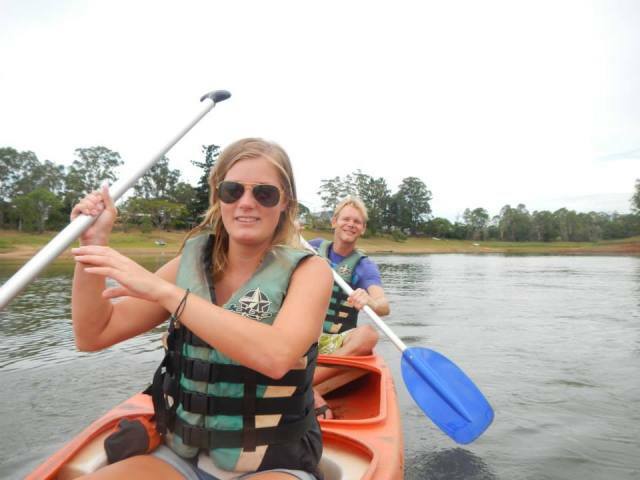 Your sense of fun and adventure! 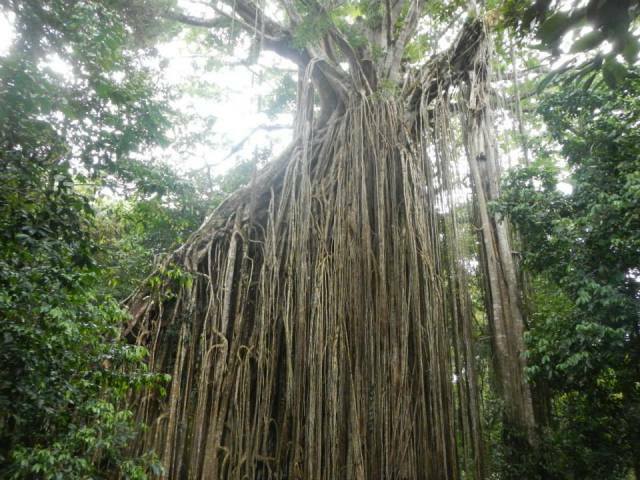 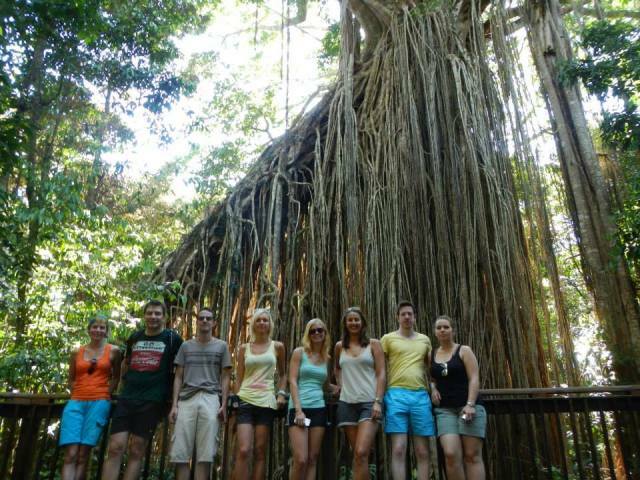 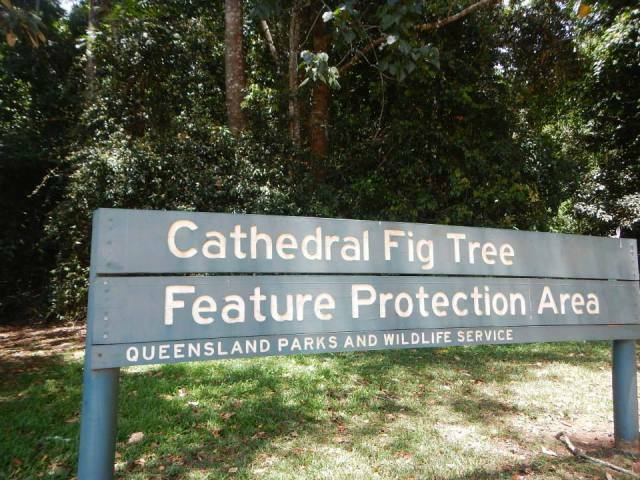 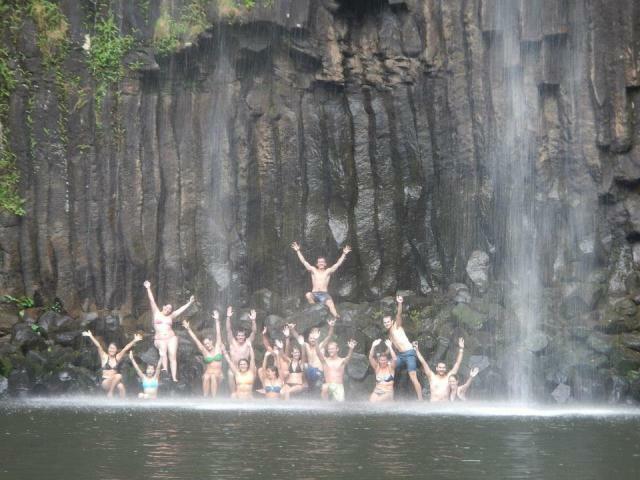 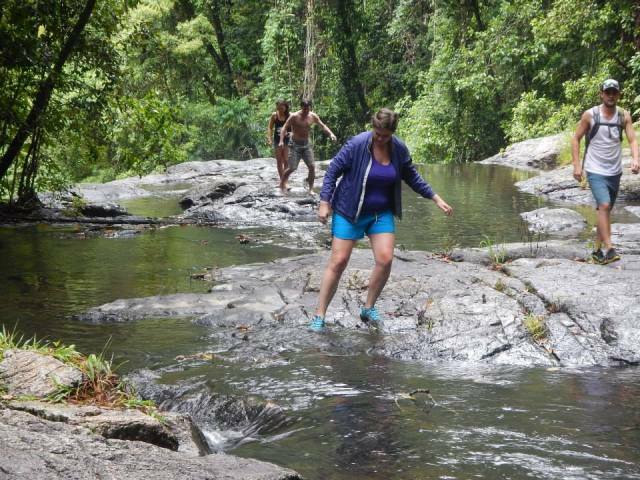 The day begins with a visit to the Curtain Fig Tree and continues with guided rainforest walks in search of native wildlife at both the Cathedral Fig Tree and the volcanic crater, Lake Barrine, before lunch. 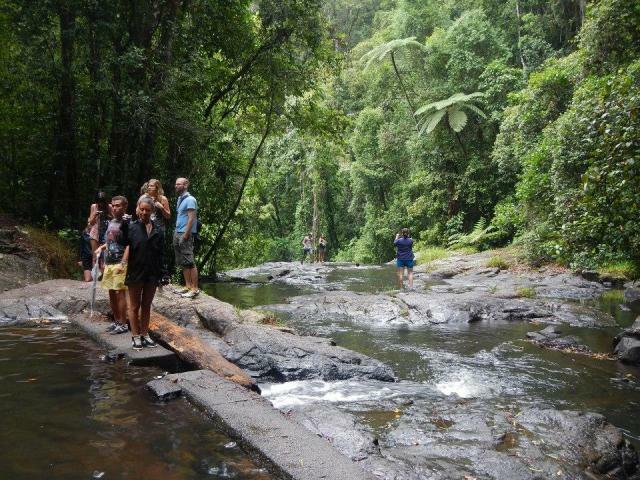 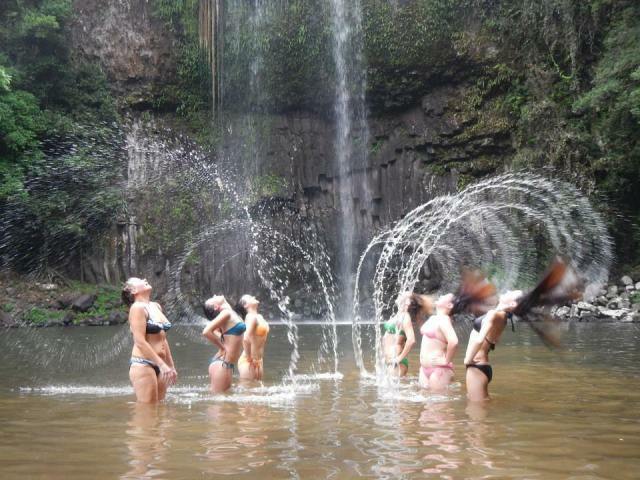 Travel through the picturesque countryside for the day's highlights, swimming at several pristine waterfalls, such as the famous Millaa Millaa, plus a jungle trek to view the raging Dinner Falls and World Heritage listed Mount Hypipamee National Park. 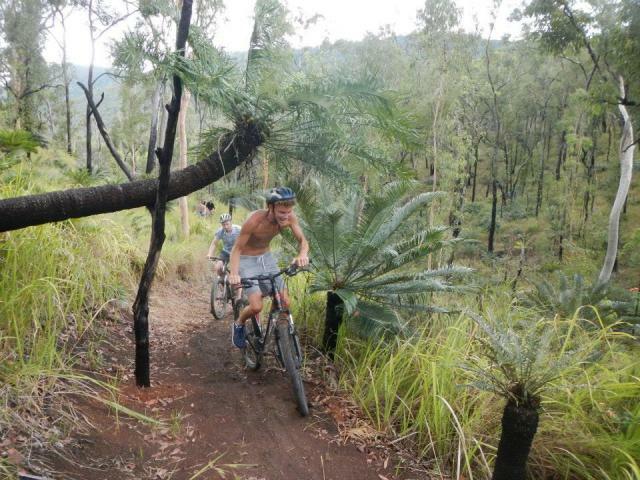 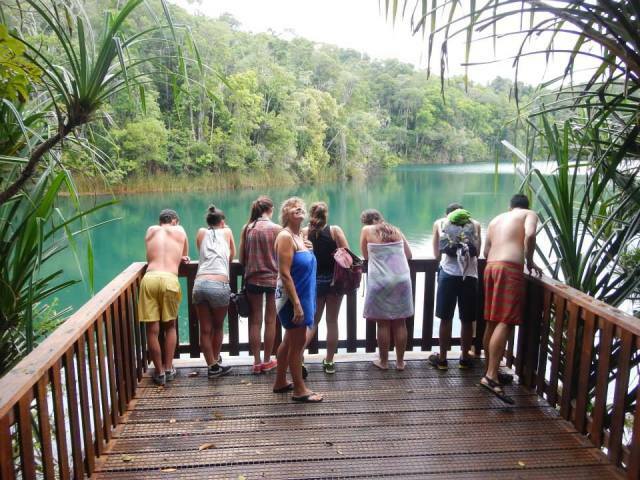 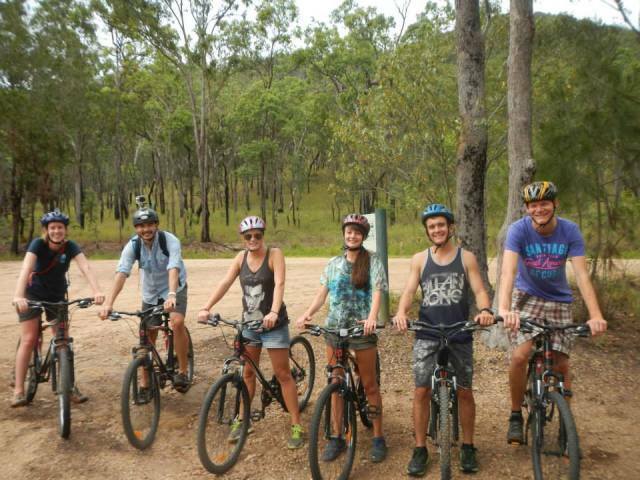 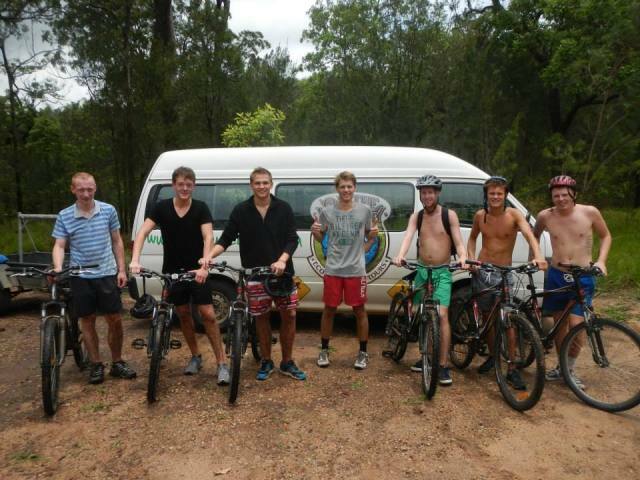 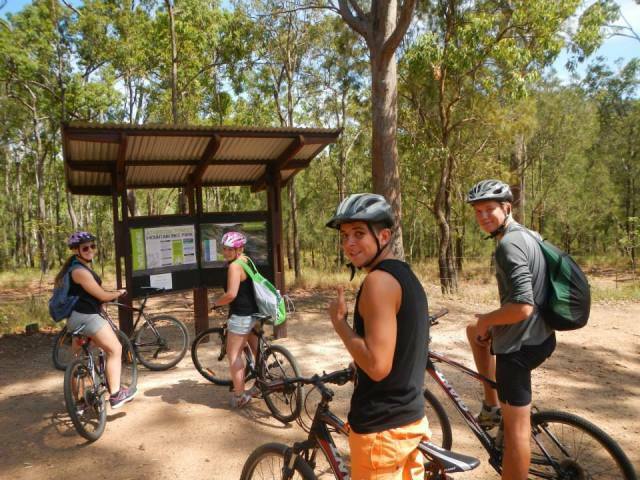 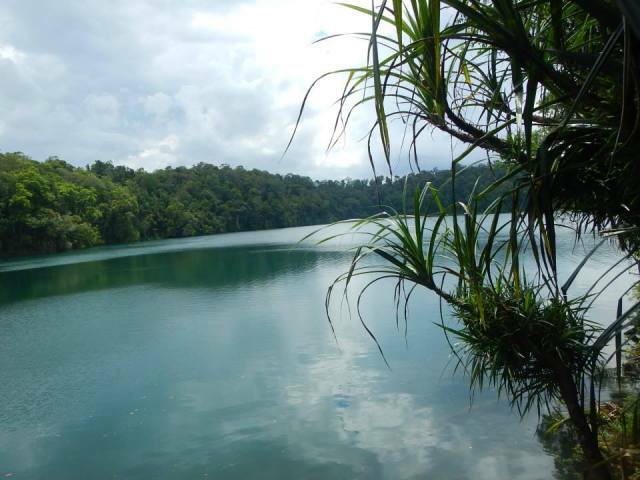 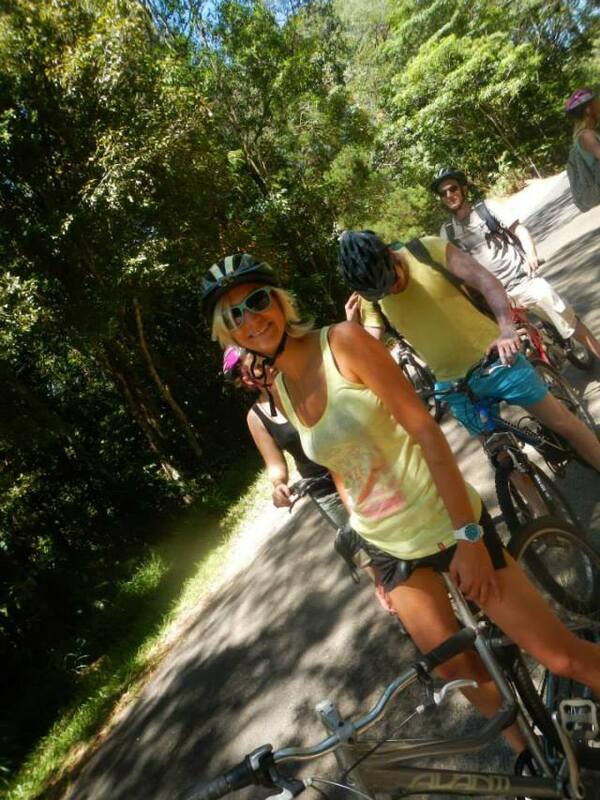 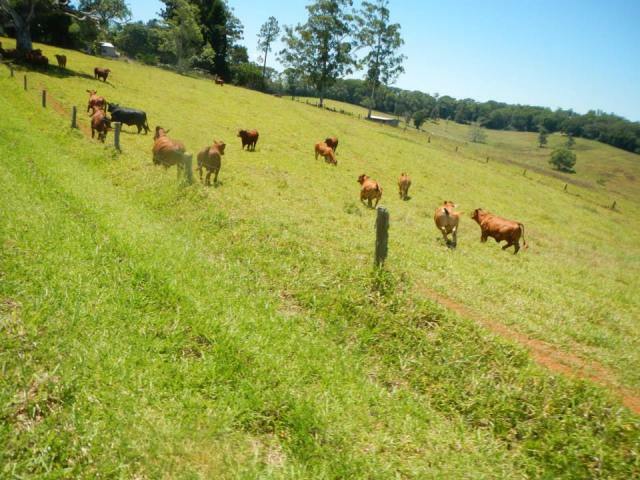 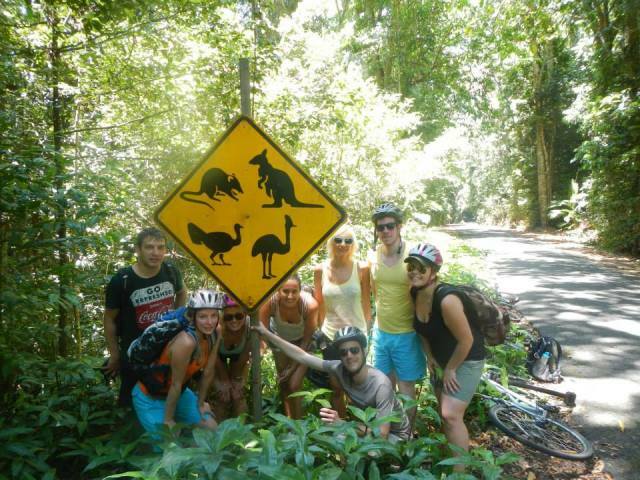 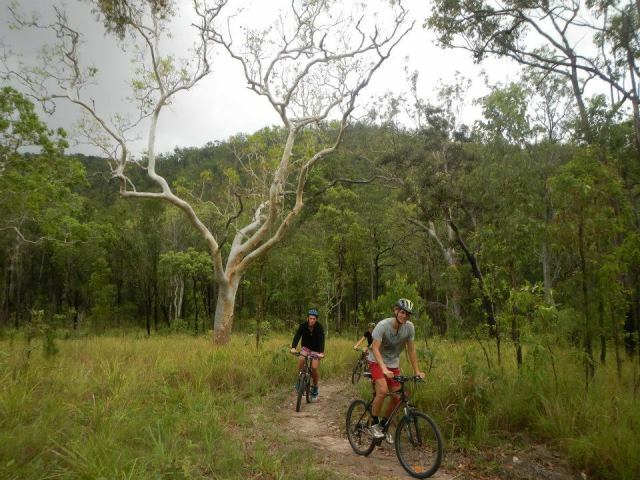 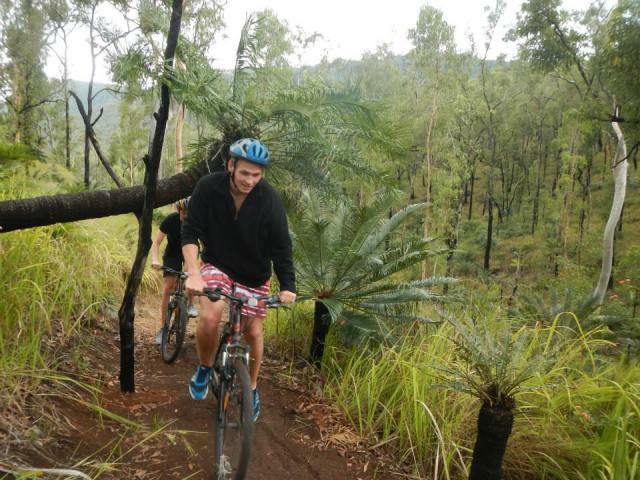 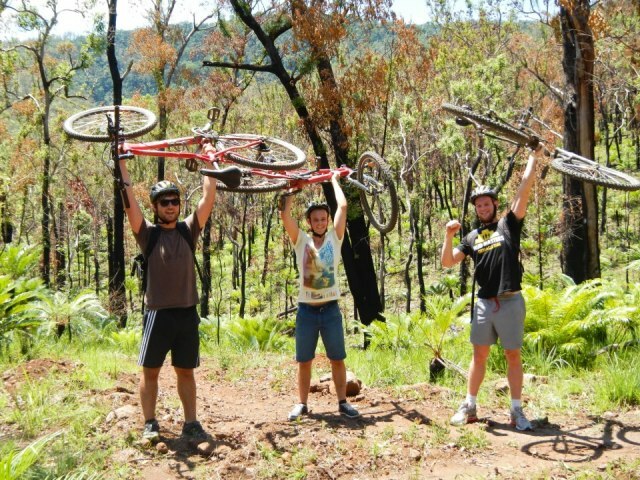 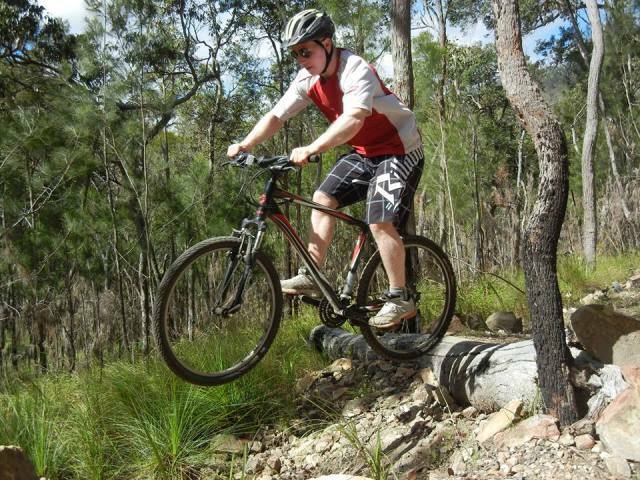 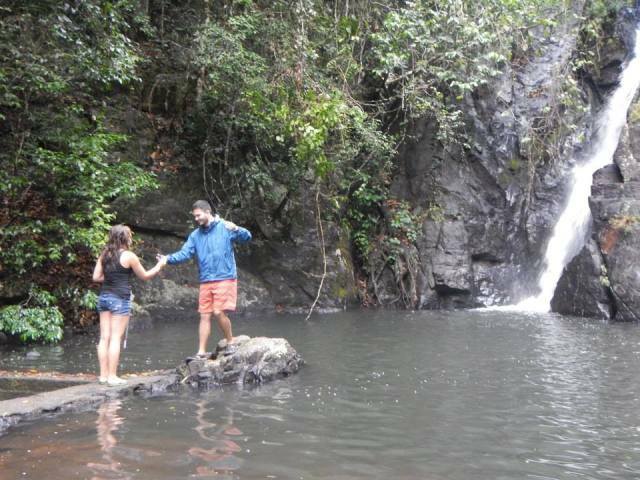 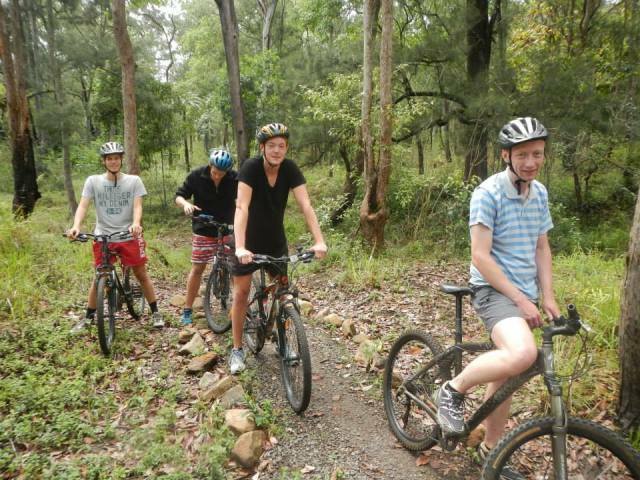 Guests are treated to a guided mountain bike ride through the lush, green Atherton Tablelands countryside and rainforest for a swim and walk at the volcanic crater, Lake Eacham. 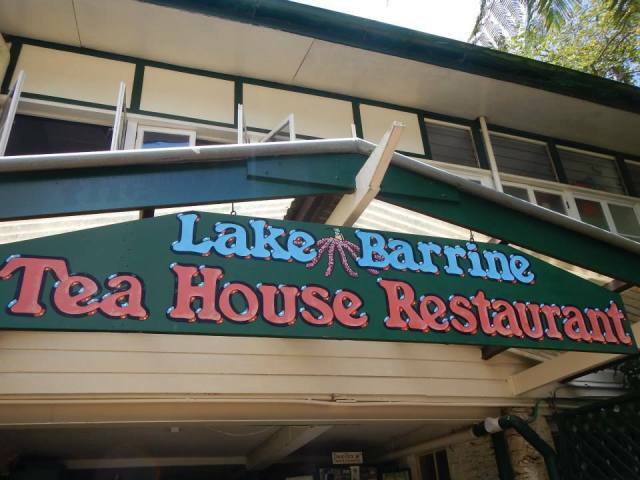 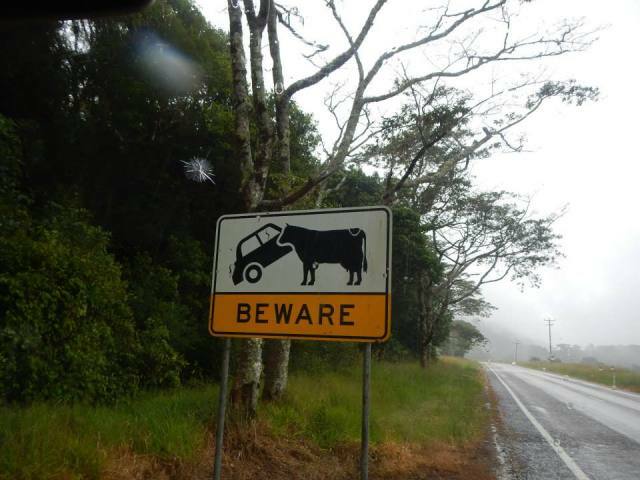 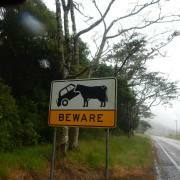 (lunch can be purchased here at own expense). 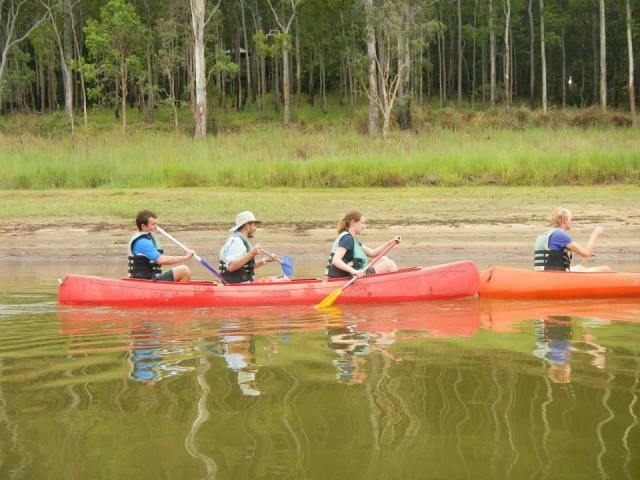 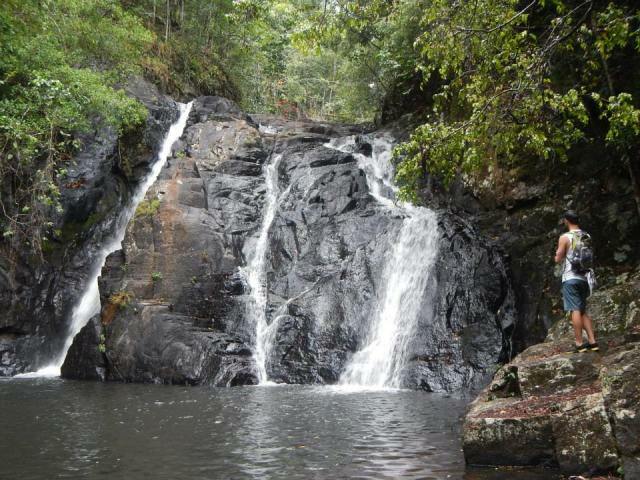 In the afternoon explore a secluded area of Lake Tinaroo in the safety of your two person canoe. 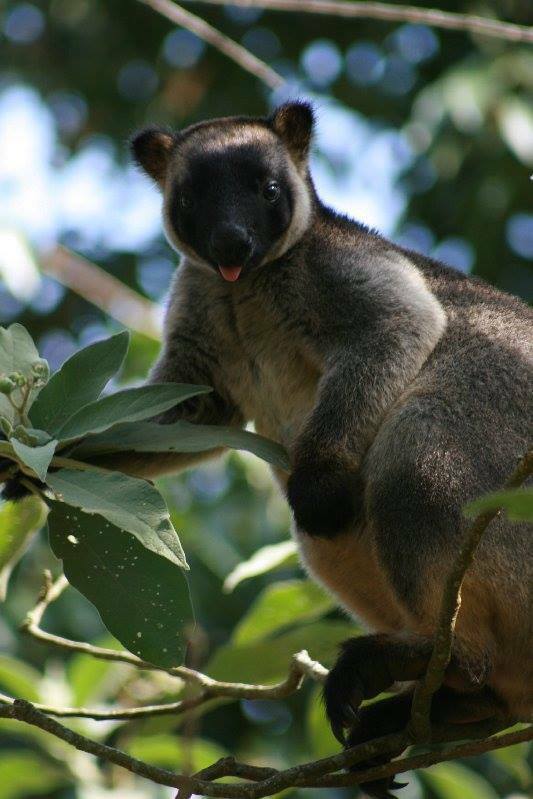 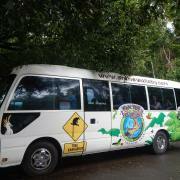 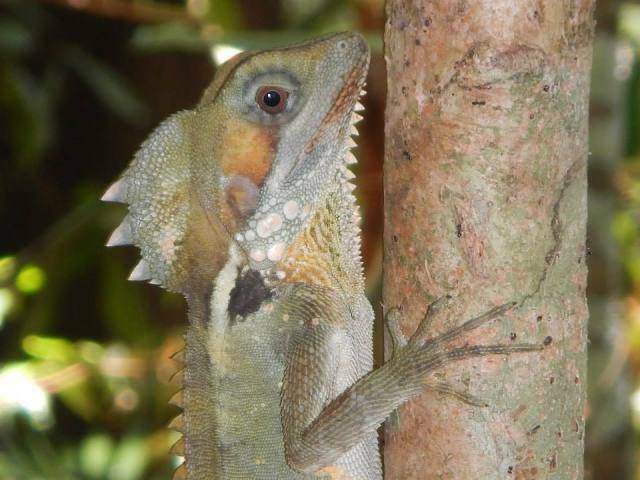 Guides will help you spot rare wildlife such as tree kangaroos, birds and water dragons. 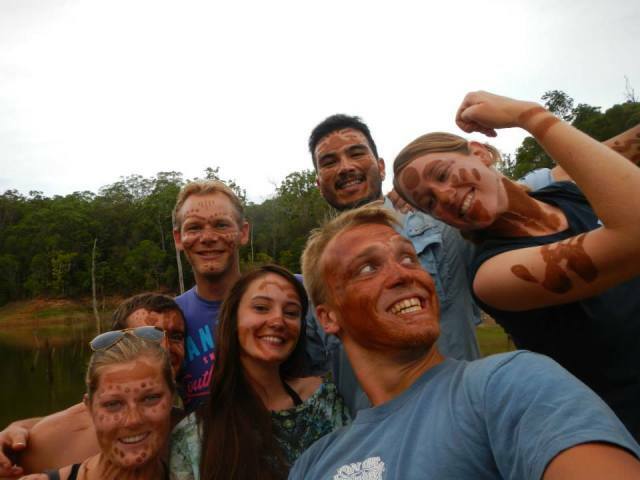 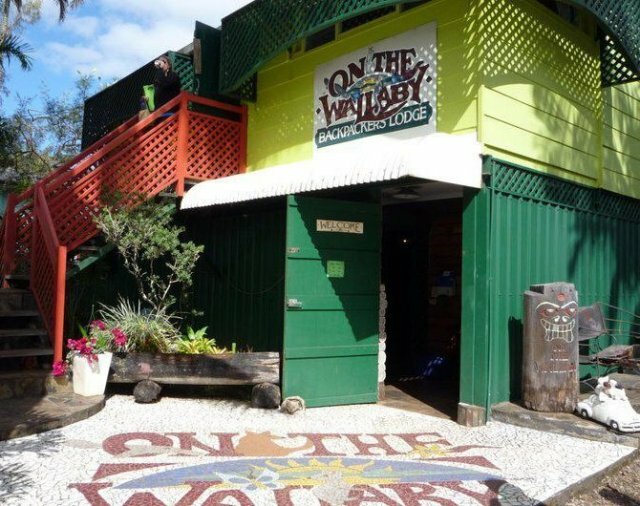 Then, have your face painted with Aboriginal ochre clay before hot showers, tea and coffee at On the Wallaby Lodge. 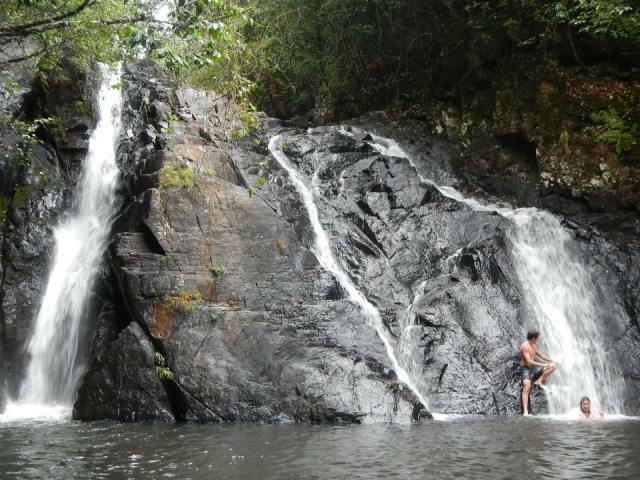 This package is flexible - Stay longer and chill out. 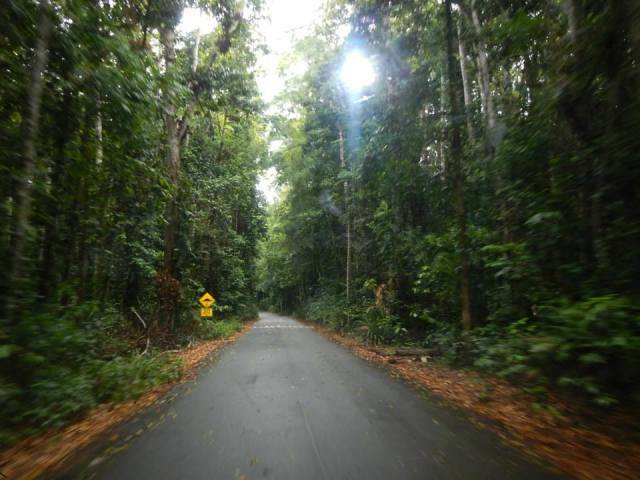 Return on a day of your choice. 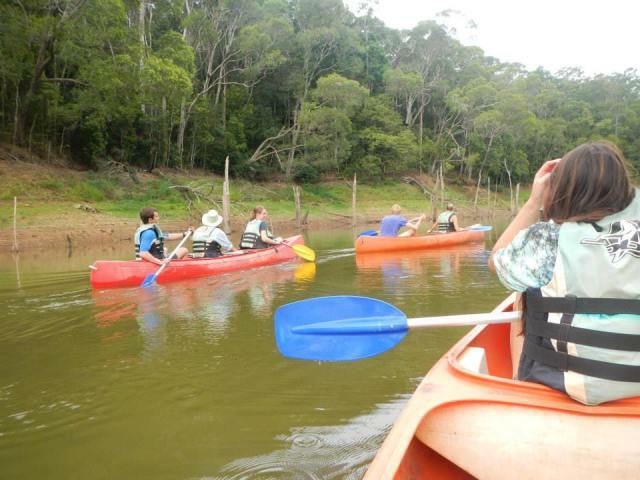 Nocturnal Wildlife Canoeing - A great way to spot unique rainforest animals from the safety of a two man canoe - departs nightly at 8pm, and includes guides, transport, lifejackets & torches. 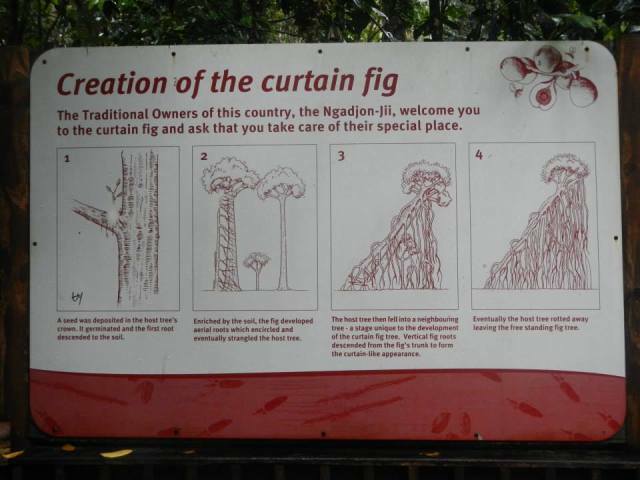 It is possible to upgrade to a private room on request for an additional cost but it is not guaranteed. 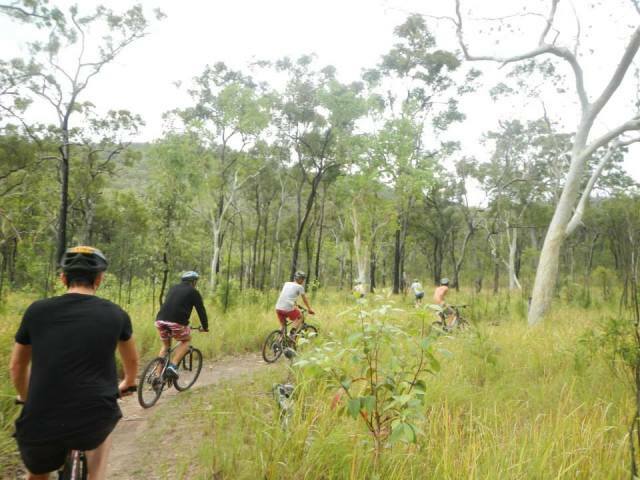 The double rooms do not have ensuites.